The report of Twisted’s death was an exaggeration. 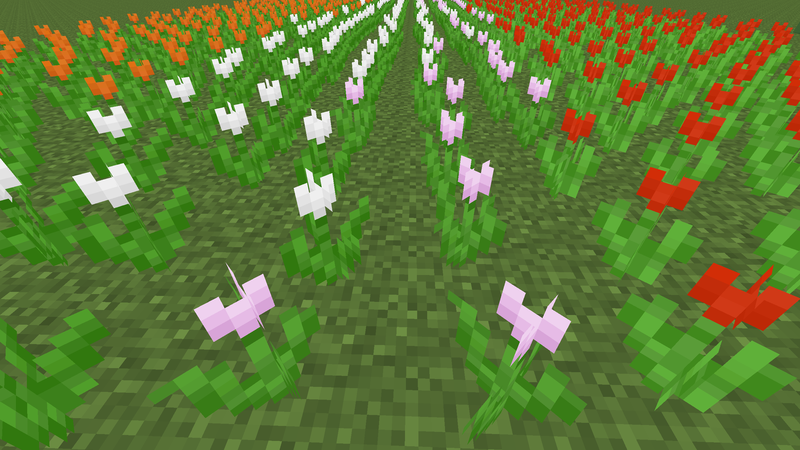 Lots of folks are very excited about the Tulip project, recently released as the asyncio standard library module in Python 3.4. It provides an abstract, language-blessed, standard interface for event-driven network I/O. This means that instead of every event-loop library out there having to implement everything in terms of every other event-loop library’s ideas of how things work, each library can simply implement adapters from and to those standard interfaces. These interfaces substantially resemble the abstract interfaces that Twisted has provided for a long time, so it will be relatively easy for us to adapt to them. It provides a new, high-level coroutine scheduler, providing a slightly cleaned-up syntax (return works!) and more efficient implementation (no need for a manual trampoline, it’s built straight into the language runtime via yield from) of something like inlineCallbacks. However, in their understandable enthusiasm, some observers of Tulip’s progress – links withheld to protect the guilty – have been forecasting Twisted’s inevitable death, or at least its inevitable consignment to the dustbin of “legacy code”. At first I thought that this was just sour grapes from people who disliked Twisted for some reason or other, but then I started hearing this as a concern from users who had enjoyed using Twisted. So let me reassure you that the idea that Twisted is going away is totally wrong. I’ll explain how. Twisted is an async I/O thing, asyncio is an async I/O thing. Therefore they are the same kind of thing. I only need one kind of thing in each category of thing. Therefore I only need one of them, and the “standard” one is probably the better one to depend on. So I guess nobody will need Twisted any more! The problem with this reasoning is that “an async I/O thing” is about as specific as “software that runs on a computer”. After all, Firefox is also “an async I/O thing” but I don’t think that anyone is forecasting the death of web browsers with the release of Python 3.4. Which Is Better: OpenOffice or Linux? Let’s begin with the most enduring reason that Twisted is not going anywhere any time soon. asyncio is an implementation of a transport layer and an event-loop API; it can move bytes into and out of your application, it can schedule timed calls to happen at some point in the future, and it can start and stop. It’s also an implementation of a coroutine scheduler; it can interleave apparently sequential logic with explicit yield points. There are also some experimental third-party extension modules available, including an event-driven HTTP server and client, and the community keeps building more stuff. In other words, asyncio is a kernel for event-driven programming, with some applications starting to be developed. Twisted is also an implementation of a transport layer and an event-loop API. It’s also got a coroutine scheduler, in the form of inlineCallbacks. Twisted is also a production-quality event-driven HTTP server and client including its own event-driven templating engine, with third-party HTTP addons including server microframeworks, high-level client tools, API construction kits, robust, two-way browser communication, and automation for usually complex advanced security features. Twisted also has a native, symmetric event-driven message-passing protocol designed to be easy to implement in other languages and environments, making it incredibly easy to develop a custom protocol to propagate real-time events through multiple components; clients, servers, embedded devices, even web browsers. Twisted is also a chat server you can deploy with one shell command. Twisted is also a construction kit for IRC bots. Twisted is also an XMPP client and server library. Twisted is also a DNS server and event-driven DNS client. Twisted is also a multi-protocol integrated authentication API. Twisted is also a pluggable system for creating transports to allow for third-party transport components to do things like allow you to run as a TOR hidden service with a single command-line switch and no modifications to your code. Twisted is also a system for processing streams of geolocation data including from real hardware devices, via serial port support. Twisted also natively implements GUI integration support for the Mac, Windows, and Linux. If I were to include what third-party modules are available as well, I could go on at some considerable length. The point is, while Twisted also has an existing kernel – largely compatible, at a conceptual level at least, with the way asyncio was designed – it also has a huge suite of functionality, both libraries and applications. Twisted is OpenOffice to asyncio’s Linux. Of course this metaphor isn’t perfect. Of course the nascent asyncio community will come to supplant some of these things with other third-party tools. Of course there will be some duplication and some competing projects. That’s normal, and even healthy. But this is not a winner-take all existential Malthusian competition. Being able to leverage the existing functionality within the Twisted and Tornado ecosystems – and vice versa, allowing those ecosystems to leverage new things written with asyncio – was not an accident, it was an explicit, documented design goal of asyncio. Python 3 is the future of Python. While Twisted still has a ways to go to finish porting to Python 3, you will be able to pip install the portions that already work as of the upcoming 14.0 release (which should be out any day now). So contrary to some incorrect impressions I’ve heard, the Twisted team is working to support that future. However, while Python 3 may be the future of Python, right now it is sadly just the future, and not the present. If you want to use asyncio today, that means foregoing the significant performance benefits of pypy. (Even the beta releases of pypy3, which still routinely segfault for me, only support the language version 3.2, so no “yield from” syntax.) It means cutting yourself off from a significant (albeit gradually diminishing) subset of available Python libraries. You could use the Python 2 backport of Tulip, Trollius, but since idiomatic Tulip code relies heavily on the new yield from syntax, it’s possible to write code that works on both, but not idiomatically. Trollius actually works on Python 3 as well, but then you miss out on one of the real marquee features of Tulip. Also, while Twisted has a strict compatibility policy, asyncio is still marked as having provisional status, meaning that unlike the rest of the standard library, its API may change incompatibly in the next version of Python. While it’s unlikely that this will mean major changes for asyncio, since Python 3.4 was just released, it will be in this status for at least the next 18 months, until Python 3.5 arrives. As opposed to the huge laundry list of functionality above, all of these reasons will eventually be invalidated, hopefully sooner rather than later; if these were the only reasons that Twisted were going to stick around, I would definitely be worried. However, they’re still reasons why today, even if you only need the pieces of an asynchronous I/O system that the new asyncio module offers, you still might want to choose Twisted’s core event loop APIs. Keep in mind that using Twisted today doesn’t cut you off from using asyncio in the future: far from it, it makes it likely that you will be able to easily integrate whatever new asyncio code you write once you adopt it. Twisted’s goal, as Laurens van Houtven eloquently explained it this year in a PyCon talk, is to work with absolutely everything, and that very definitely includes asyncio and Python 3. I feel like asyncio is a step forward for Python, and, despite the dire consequences some people seemed to expect, a tremendous potential benefit to Twisted. For years, while we – the Twisted team – were trying to build the “engine of your Internet”, we were also having to make a constant, tedious sales pitch for the event-driven model of programming. Even today, we’re still stuck writing rambling, digressive rants explaining why you might not want three threads for every socket, giving conference talks where we try to trick the audience into writing a callback, and trying to explain basic stuff about networking protocols to an unreceptive, frustrated audience. This audience was unreceptive because the broader python community has been less than excited about event-driven networking and cooperative task coordination in general. It’s a vicious cycle: programmers think events look “unpythonic”, so they write their code to block. Other programmers then just want to make use of the libraries suitable to their task, and they find ones which couple (blocking) I/O together with basic data-processing tasks like parsing. Oddly enough, I noticed a drop in the frequency that I needed to have this sort of argument once node.js started to gain some traction. Once server-side Python programmers started to hear all the time about how writing callbacks wasn't a totally crazy thing to be doing on the server, there was a whole other community to answer their questions about why that was. With the advent of asyncio, there is functionality available in the standard library to make event-driven implementations of things immediately useful. Perhaps even more important this functionality, there is guidance on how to make your own event-driven stuff. Every module that is written using asyncio rather than io is a module that at least can be made to work natively within Twisted without rewriting or monkeypatching it. In other words, this has shifted the burden of arguing that event-driven programming is a worthwhile thing to do at all from Twisted to a module in the language’s core. While it’ll be quite a while before most Python programmers are able to use asyncio on a day to day basis its mere existence justifies the conceptual basis of Twisted to our core consituency of Python programmers who want to put an object on a network. Which, in turn, means that we can dedicate more of our energy to doing cool stuff with Twisted, and we can dedicate more of the time we spend educating people to explaining how to do cool things with all the crazy features Twisted provides rather than explaining why you would even want to write all these weird callbacks in the first place. So Tulip is a good thing for Python, a good thing for Twisted, I’m glad it exists, and it doesn't make me worried at all about Twisted’s future.